Lisa is a passionate and enthusiastic adventurer who originally hails from Central Florida. 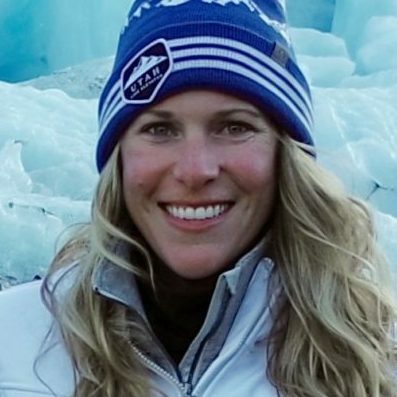 Lisa has an interesting and eclectic work background that has included being a collegiate soccer coach, event services manager, advertising account manager and a wildlife conservation tour guide and educator here in Alaska. She recently completed her MBA in New Zealand with a concentration in International Business and has since dove head first pursuing her passion in the travel and tourism industry. Growing up, Lisa made the most of the Florida outdoors by canoeing (i.e. gator watching), wakeboarding and playing many sports such as beach volleyball and soccer. She went on to be a scholarship soccer player at the University of North Florida. Lisa has fallen in love with hiking, camping, multi-day trekking and rock climbing. To date, her two favorite experiences are the epic multi-day treks of the Tongariro Northern Circuit in New Zealand and Havasu Falls in Arizona. She is also an avid runner and yogi! Lisa has lived abroad in Germany and New Zealand and has traveled through 15 other different countries. Lisa describes her motivation for exploration as “whether in your own neighborhood, a different part of this country or abroad, getting outside is an opportunity to be inspired by something new, that you may not have noticed yesterday.” Through her work in tourism, she helps others experience the many adventures of the world. Lisa is NOLS Wilderness First Aid and AHA CPR/AED certified.